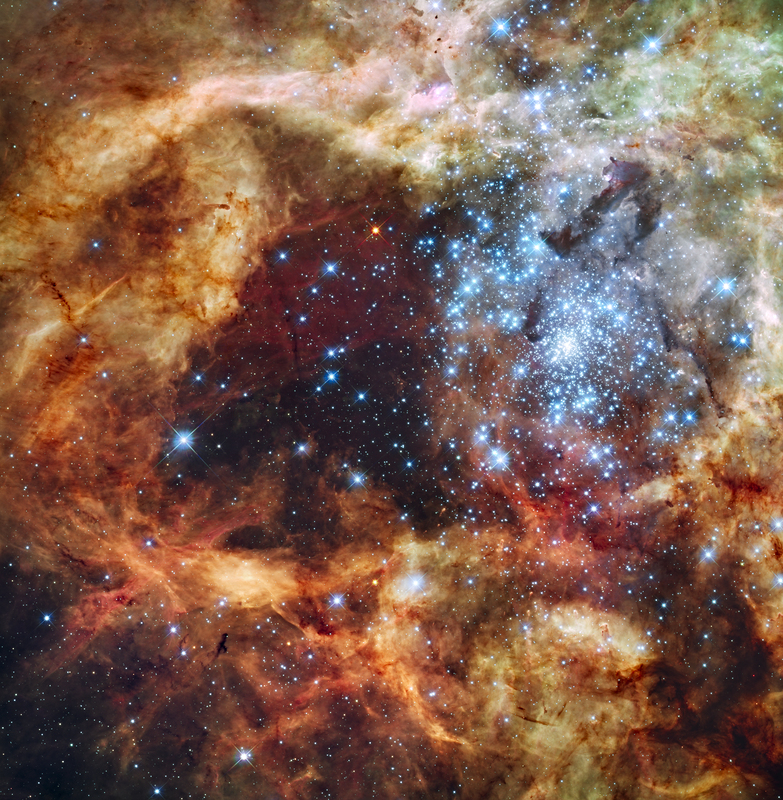 Explanation: In the center of star-forming region 30 Doradus lies a huge cluster of the largest, hottest, most massive stars known. These stars, known collectively as star cluster R136, were captured above in visible light by the newly installed Wide Field Camera peering though the recently refurbished Hubble Space Telescope. 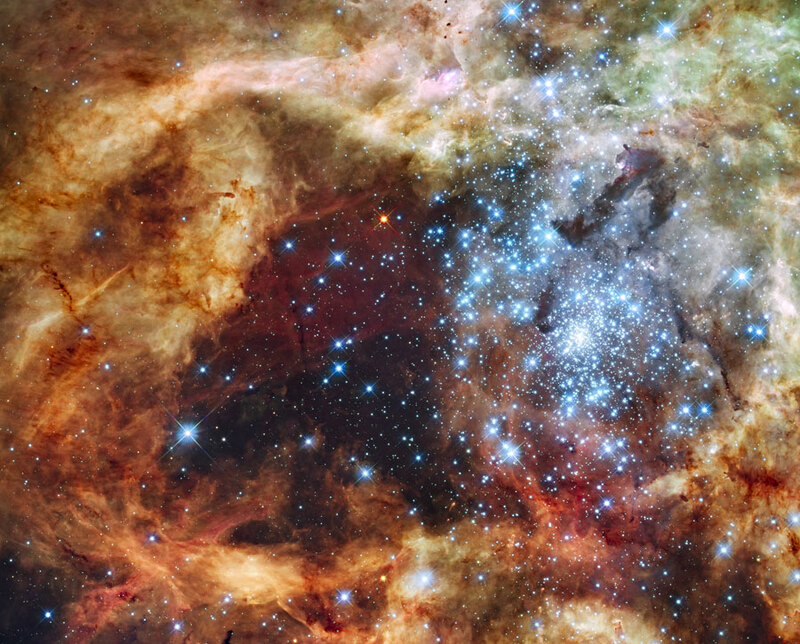 Gas and dust clouds in 30 Doradus, also known as the Tarantula Nebula, have been sculpted into elongated shapes by powerful winds and ultraviolet radiation from these hot cluster stars. The 30 Doradus Nebula lies within a neighboring galaxy known as the Large Magellanic Cloud and is located a mere 170,000 light-years away. Note: An APOD editor will review great space images on 2010 Jan. 14 in Houghton, Michigan.